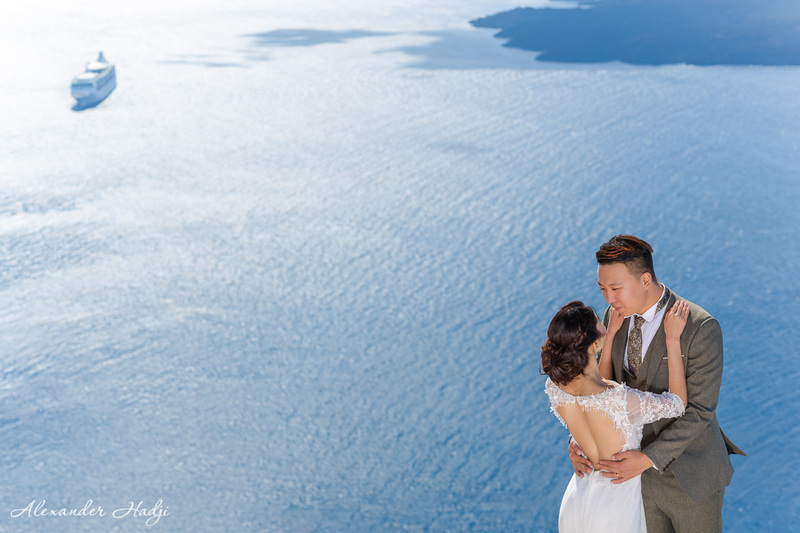 M and R, a lovely couple from China, decided to spent their vacation in Greece. 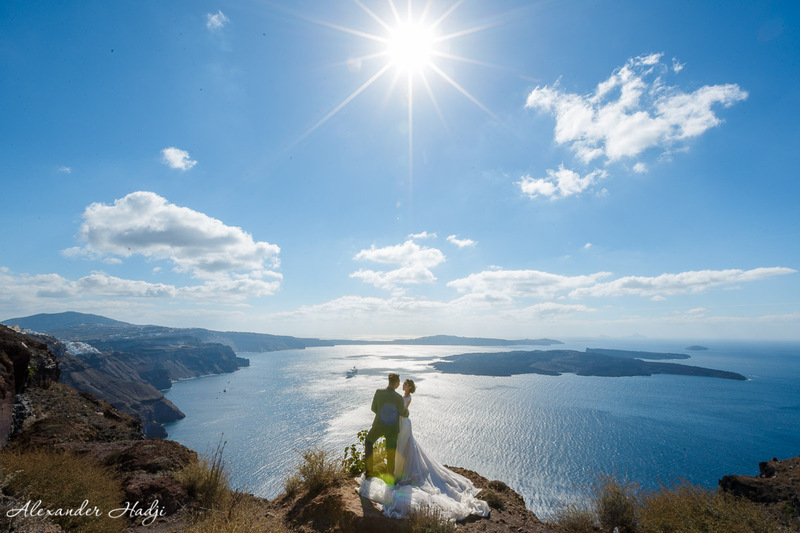 They were to have a before-the-wedding romantic tour and wanted their Santorini pre wedding photo shoot done by a professional photographer. 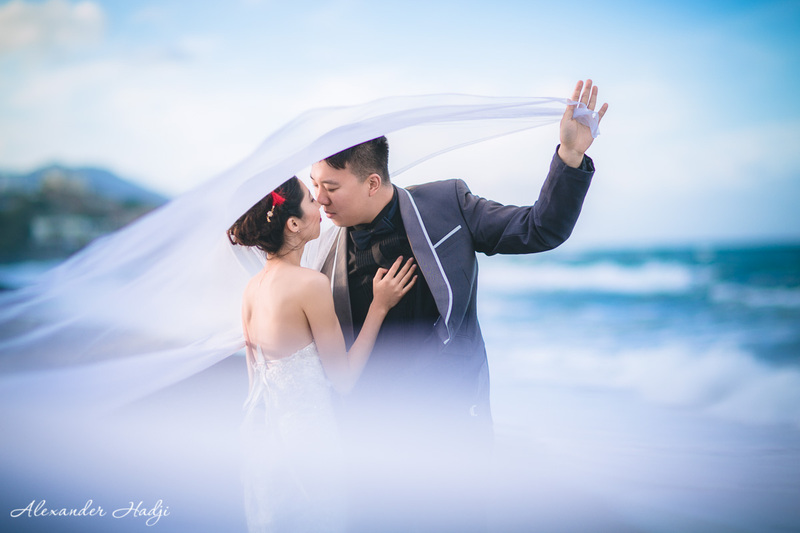 Being demanding clients the couple asked a wedding agency to find the best photographer in the area. 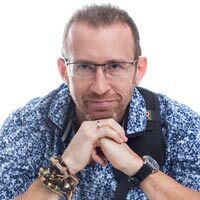 So I was contacted by the agency and asked to book a shoot. 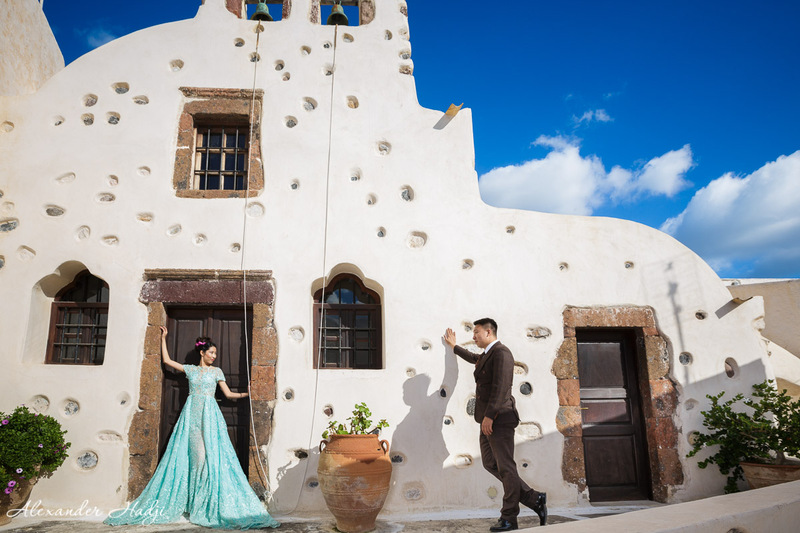 As the shooting package included transfer, I picked the couple from the hotel and drove them to the first location: Imerovigly town. 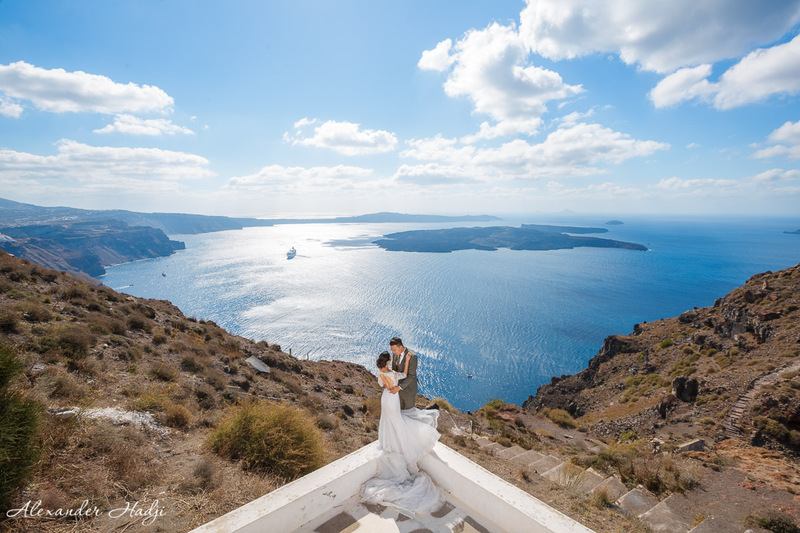 We enjoyed taking pictures with the breathtaking backdrops of the Caldera and I took the couple to the next location, Emborio. The town is a must for its traditional Greek houses cosily huddled together, secret corners multicolored doors, narrow streets revealing bizarre details and many many more. The sunlight is so unique here that sometimes the photos resemble with paintings. 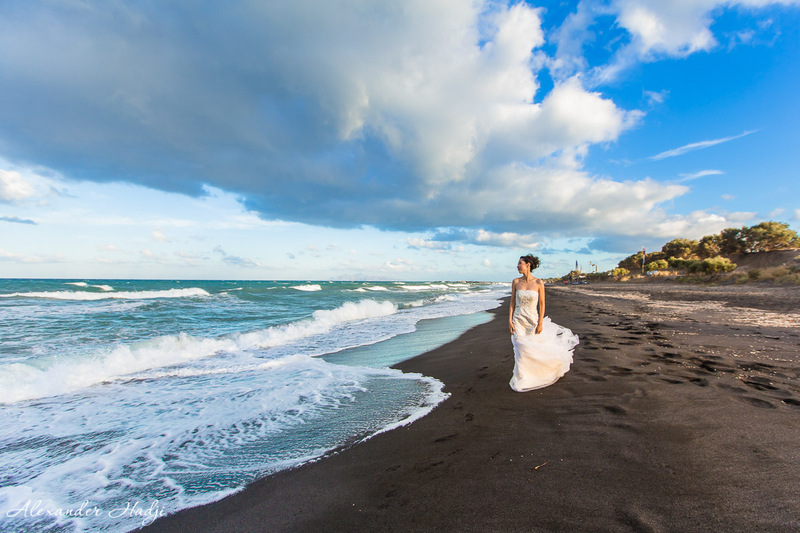 The final location, as unique as beautiful, was the famous Santorini Black Beach. We arrived around sunset, the wind was strong and the light was especially dramatic. 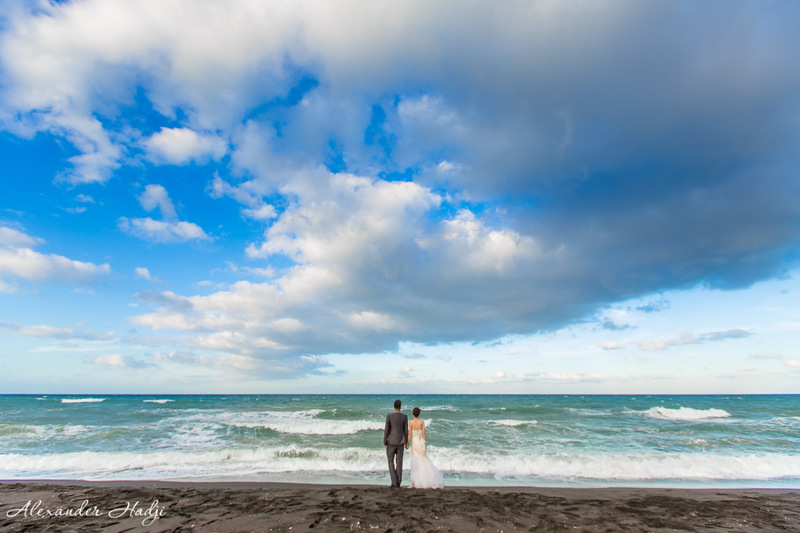 The weather was in a meaningful contrast with the tenderness emanating from the couple. So I hope M and R will keep their feelings in any thunderstorm that may occur within their long life together. 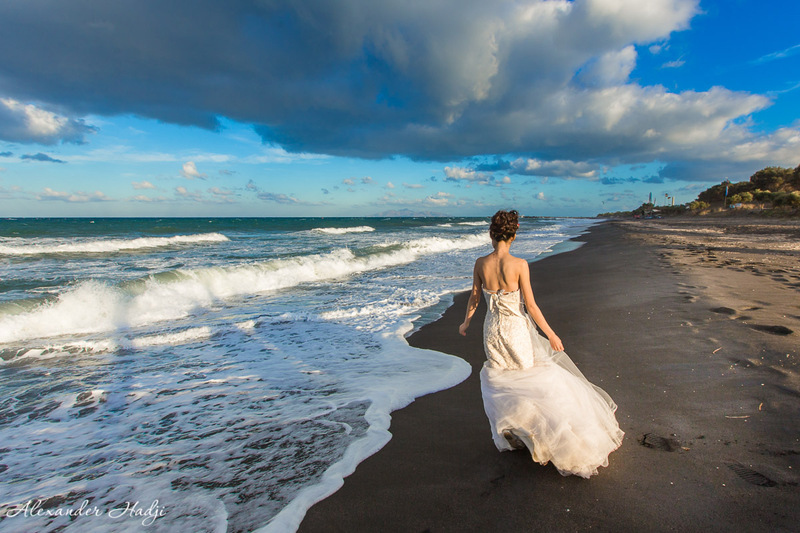 Here you can take a look at another romantic photo shoot done for a Russian couple, also here there is a photo set of a lovely wedding in Dana Villas and here enjoy a “James Bond” wedding in Santa Irene Wedding Venue. 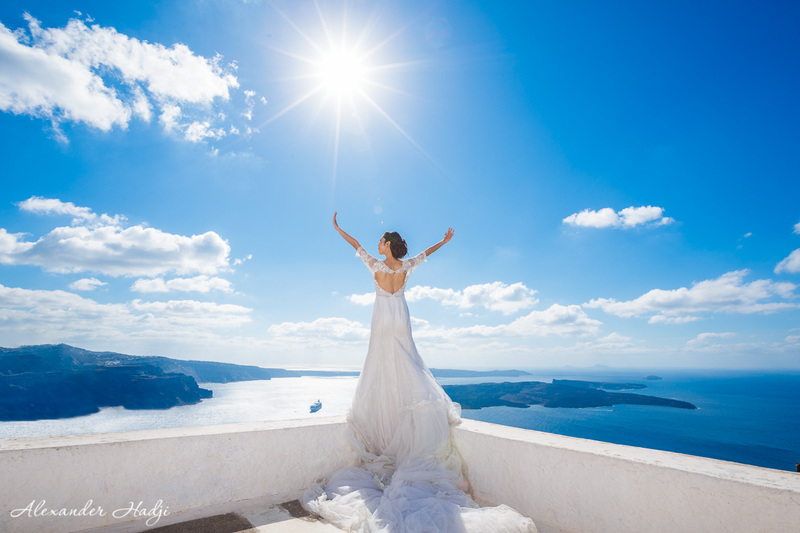 To book your Santorini pre wedding photo shoot by Alexander Hadji please email info@hadjiphoto.com, make a call to +306951661016, send a message on FB or leave your contact details to get a call-back from the photographer. You can also use Viber or WatsApp. The photographer and his team answer within a day. My name is Amy Gao. 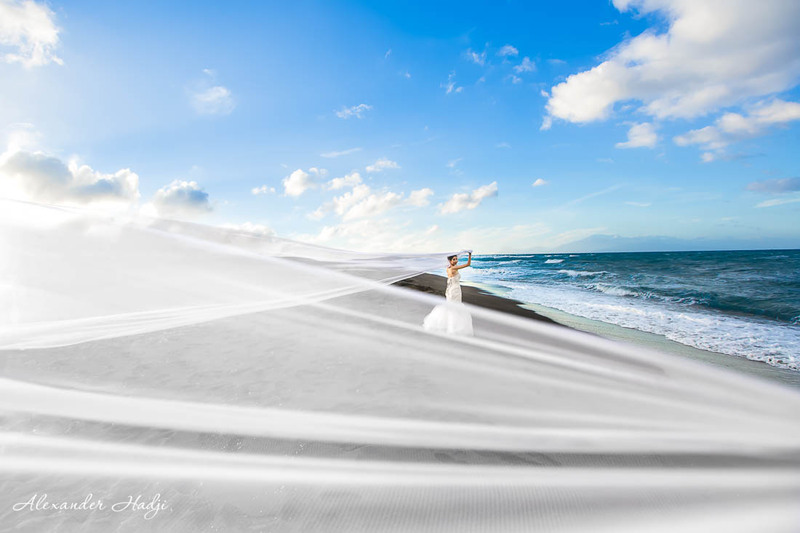 Me and my fiance were doing months of researching in a photographer we want to use for our pre wedding photoshoot. We came across your site and were very impressed with your work. Unfortunately we will not be able to attend any of your schedules posted for the year of 2016. 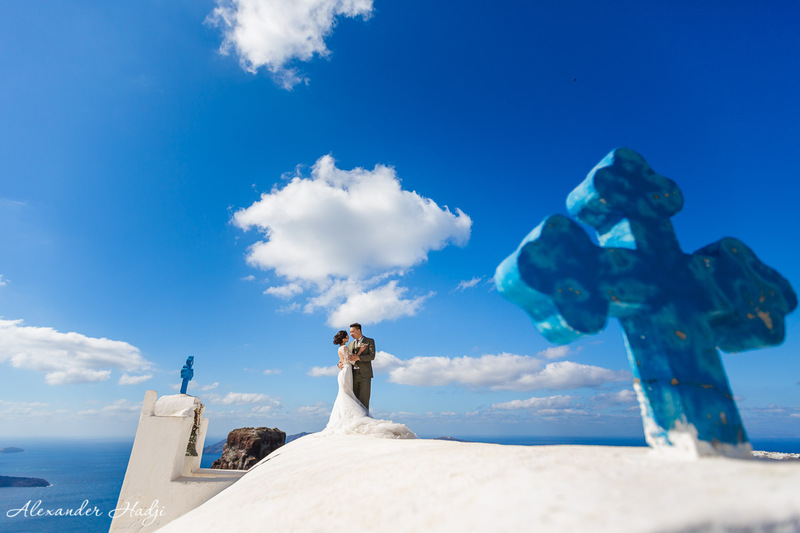 However, we would like to know if or when will you be doing prewedding shooting in Santorini in the year of 2017. We also would to request for package information. Please note that we are very serious about this inquiry. It would be greatly appreciated if you can get back to us at your earliest convenience.